Paula’s last service in the Benefice will be today, Easter Sunday. She will then be helping a group of local parishes currently in a vacancy. Following that she will take some first incumbency leave which includes moving house. Her Institution & Induction will be on Saturday 21st September at 3.00 pm. This will meet on Thursday, 25th April from 10.00 am to 12.00 noon. Reminder - the Office will be closed on Easter Monday. 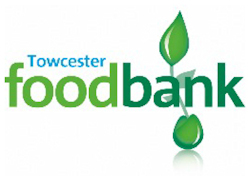 The Foodbank is currently experiencing high demand due to the effect of Universal Credit. Stocks are low and all donations would be greatly appreciated – especially of Pasta sauce, ketchup, squash, fruit juice, sponge pudding and dried and tinned foods. Reminder lists are available at the back of Church. Sponne School 2020 World Challenge Expedition to Botswana. Unwanted Clothing and shoe donations required for fundraising. Bags are available to be left at the entrance. Last drop off is 12th May, 2019. We have no-one on the rota for 25th May. Can anyone offer to run this session please? Please contact Rona or Ruth in the Office. The next set of rotas are being prepared. Please let Paul Loveday have any unavailable date ASAP. Those who have offered by their ER forms will be included.